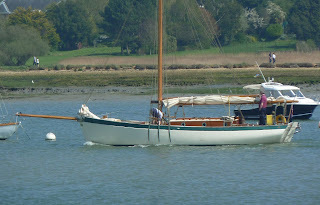 Classic 1938 gentleman's launch Betsie Jane does lunchtime and afternoon" tea and cake"cruises, and evening gin and jazz river trips these days. 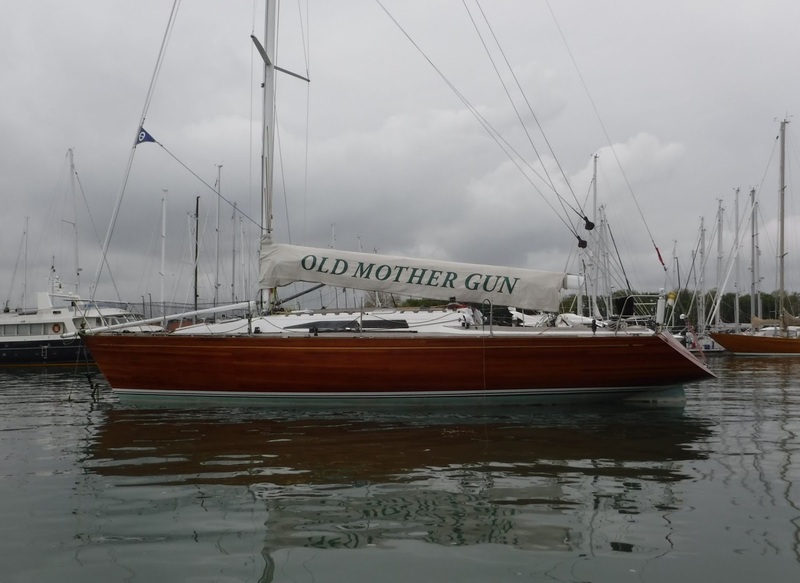 OMG - updated 40 foot offshore racer available for charter in RoRC, JOG and other offshore races. 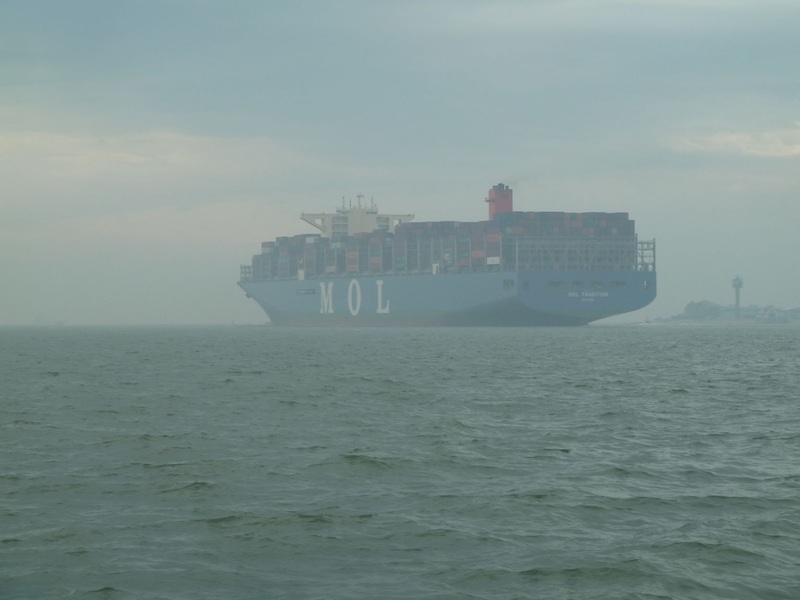 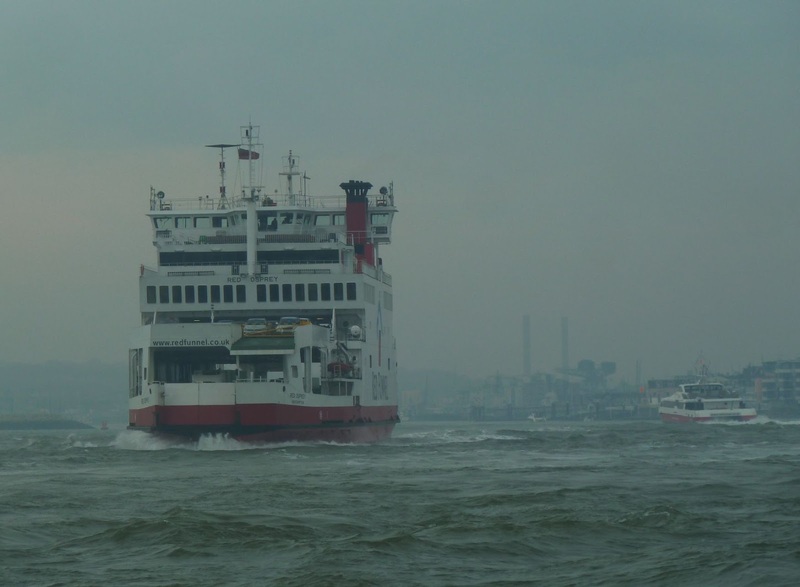 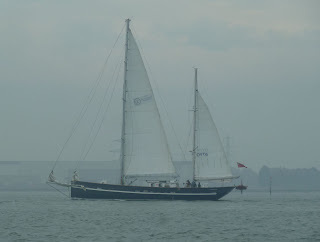 A favourite but worth including while underway. 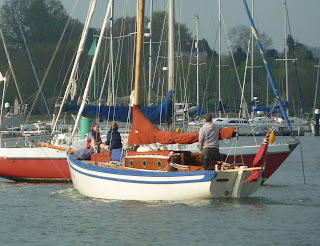 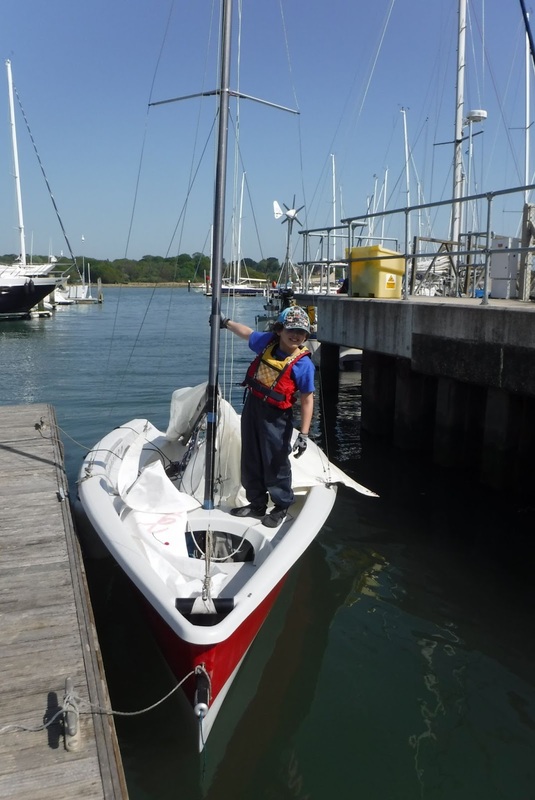 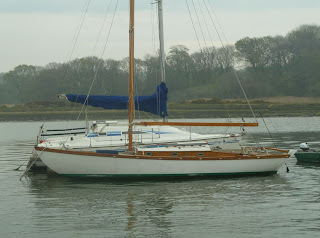 Couldn't possibly feature Hamble classics without an XOD, the fleet recently back in the water and looking fantastic. 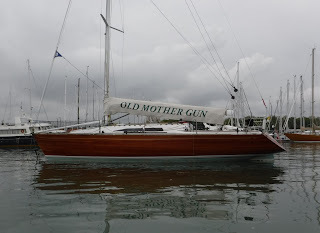 I'm pretty sure this is the 30 foot gaff cutter Foxhound designed by the late Ed Burnett. 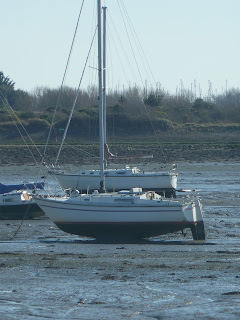 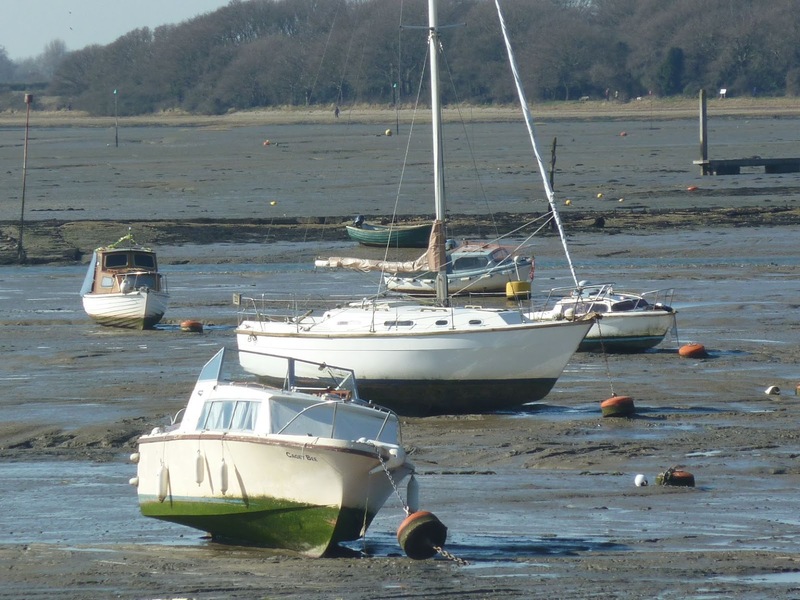 Emsworth is one of those places which is wonderful when the tide is in and all the boats are afloat and just as fascinating when the tide is out, especially at very low water. 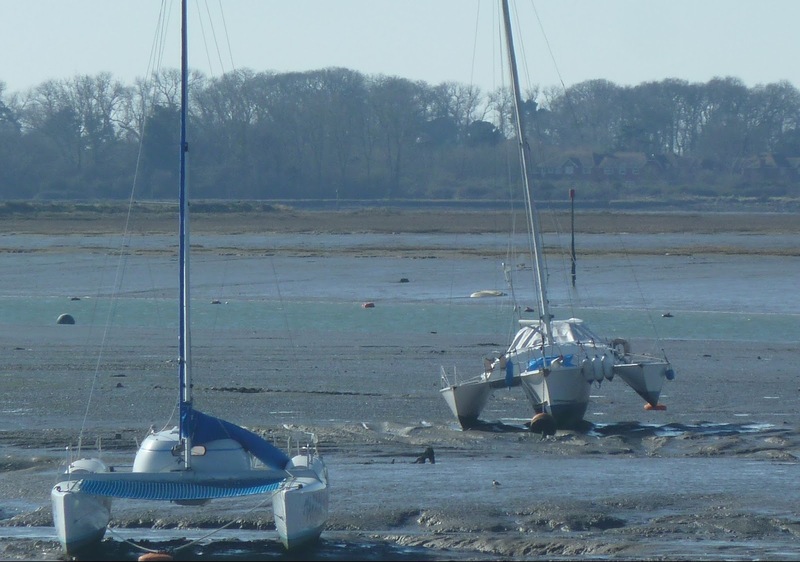 I appreciate that our south coast mud doesn't measure up to that on the east coast, but Chichester harbour is as good as it gets, lovely smooth curved surfaces reflecting the clear blue sky with channels and gullies illustrating the underlying contours. 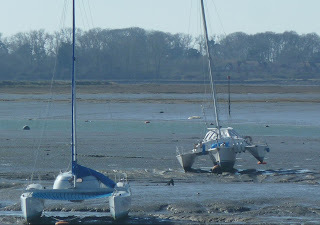 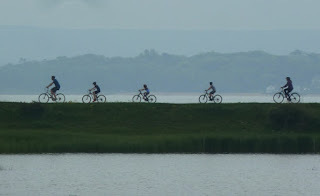 It's even relatively accessible, in the background below is the Fisherman's Walk causeway which leads out to Fowley Island, although if you really wanted to get around one of those small hovercraft would be ideal, plus a industrial strength pressure washer to clean up afterwards. 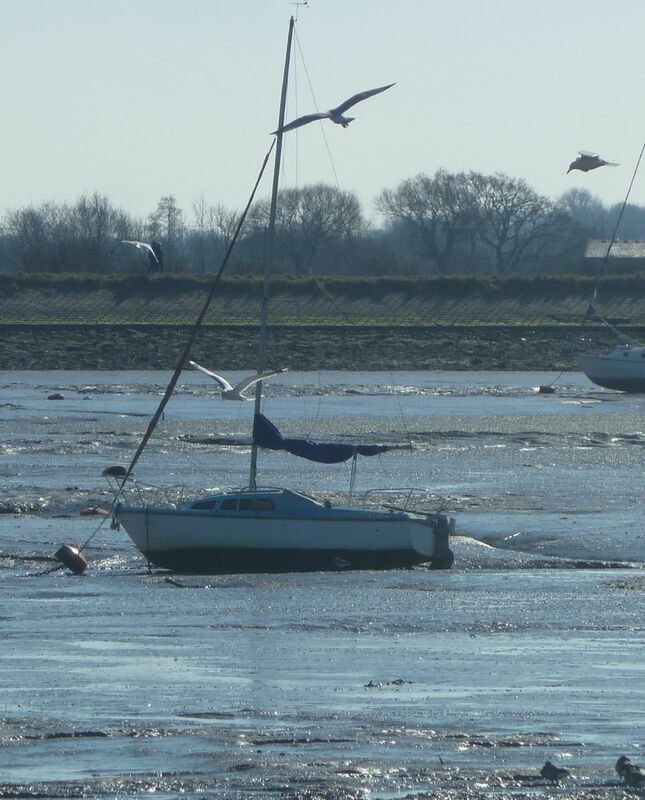 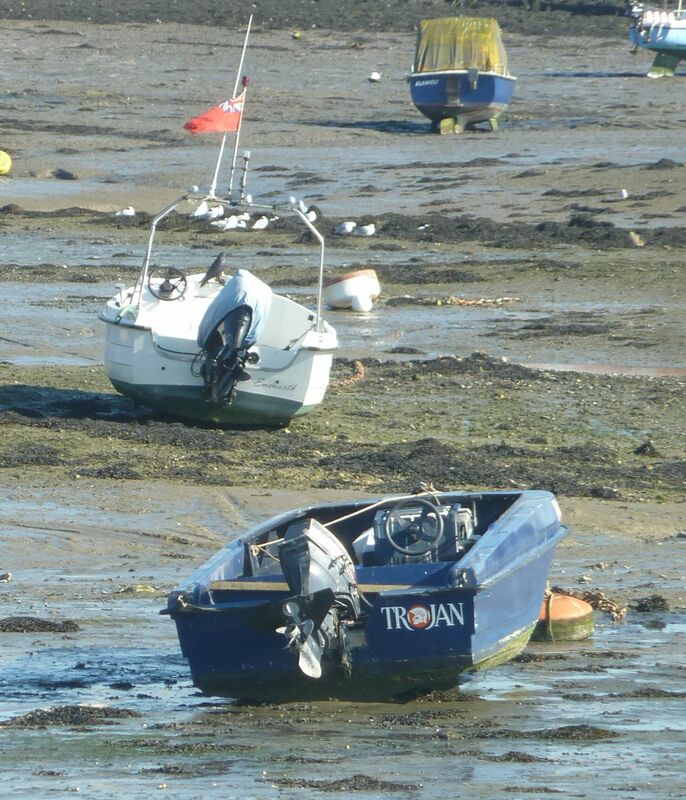 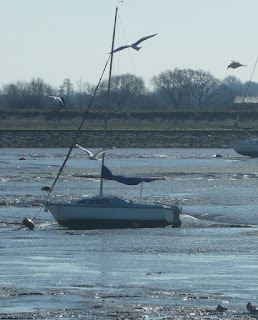 Unsurprisingly the harbour attracts the types of boats which take the ground unattended twice a day. 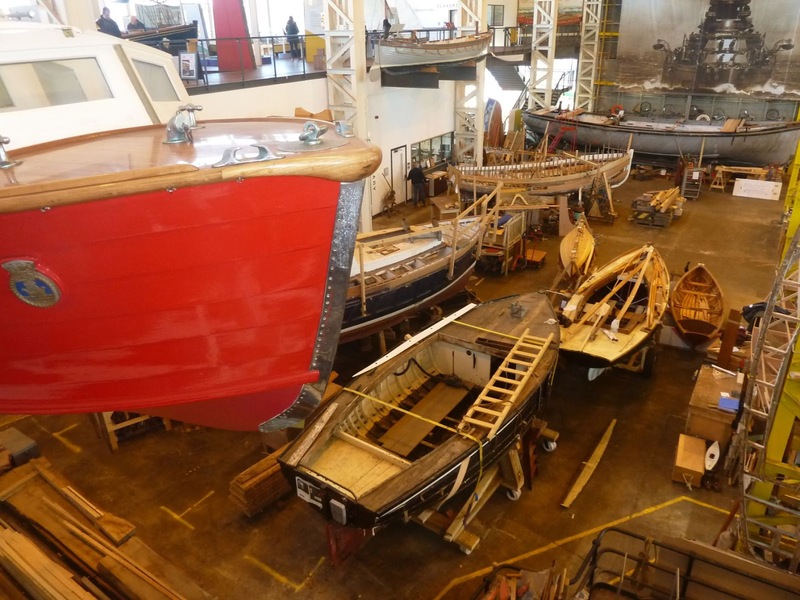 I mentioned recently the Boathouse No 4 at Portsmouth Historic Dockyard, which is being used by the International Boat Building College. 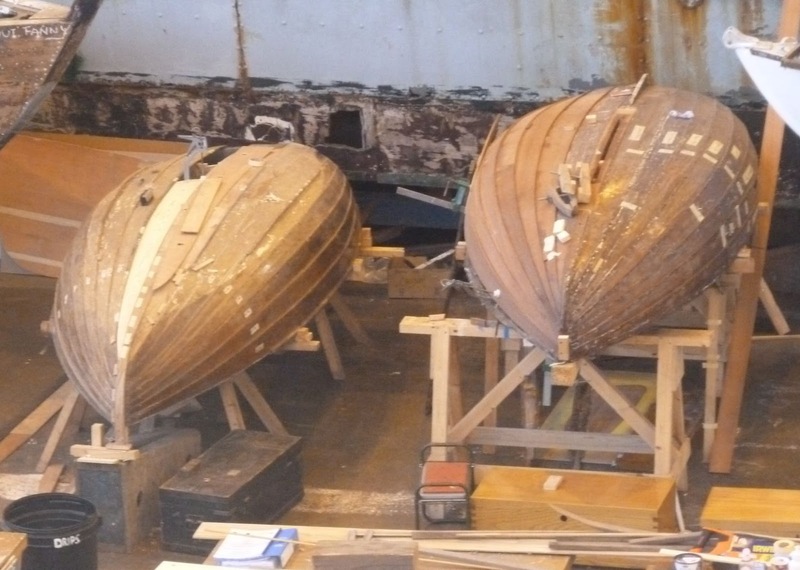 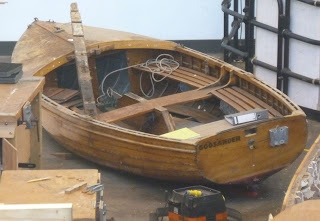 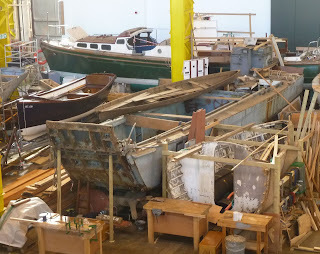 Here is a selection of the classic boats under construction or restoration. 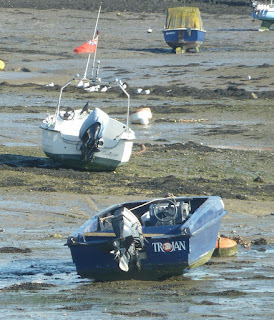 Above I'm pretty sure is the Itchen Ferry named Mermaid SU117. 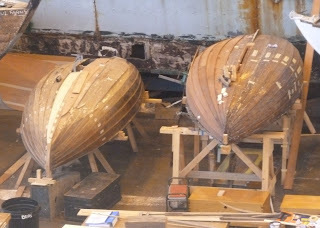 Not sure what these clinker built dinghies are, they could be SCOW's judging by the forefoot, but it's difficult to gauge the size from this photo as there's not much to provide scale, they will look great newly repaired and varnished. 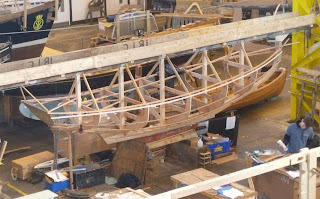 I think we worked out this frame above was for an XOD or possibly a Victory class which was also designed by Westmacott and a local Portsmouth keel boat. 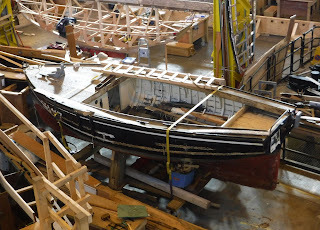 Great to see a landing craft in for restoration, not the sweetest looking craft but anyone who has seen photos and footage of the D Day Normandy landings will appreciate what an important and vital craft they were. 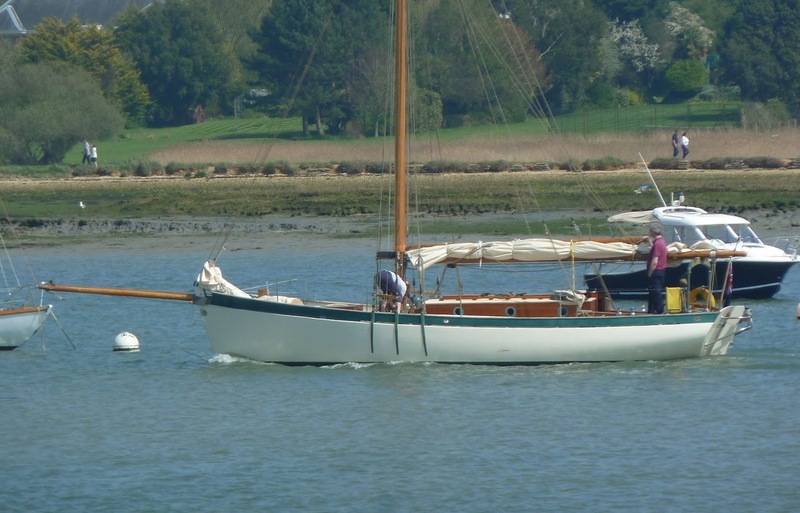 I'm a sucker for clinker day boats like Goosander, no idea what she is but Harry Feltham built similar boats down at the Camber in Old Portsmouth. 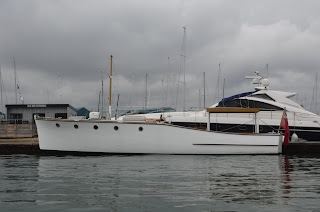 This one is definitely a Victory class, the classic Westmacott lines and black clinker hull. 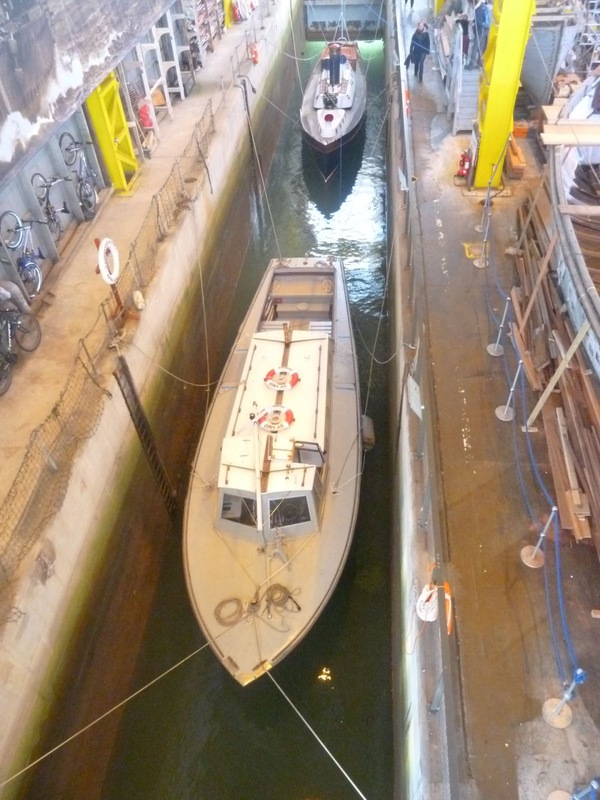 The dock inside Boathouse No 4 with sea plane tender ST- 1502 and steam pinnace 199. 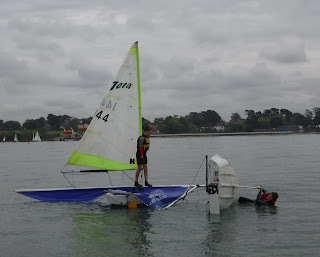 Fun and games at the recent cadet session, there was almost no wind so we decided to practice capsize and recovery. 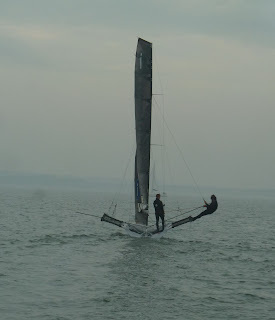 There's no way he would have got that up even with my weight on the dagger board. Joseph has set up a youtube channel and put up one of his school project stop animation films - Toucan Facts in an attempt to become a budding youtube star. 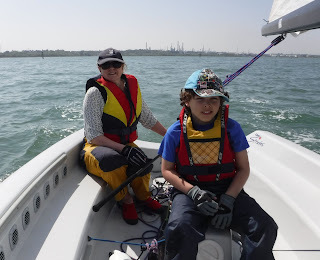 Thanks for your help, parental monitoring is in place and quite exhausting. 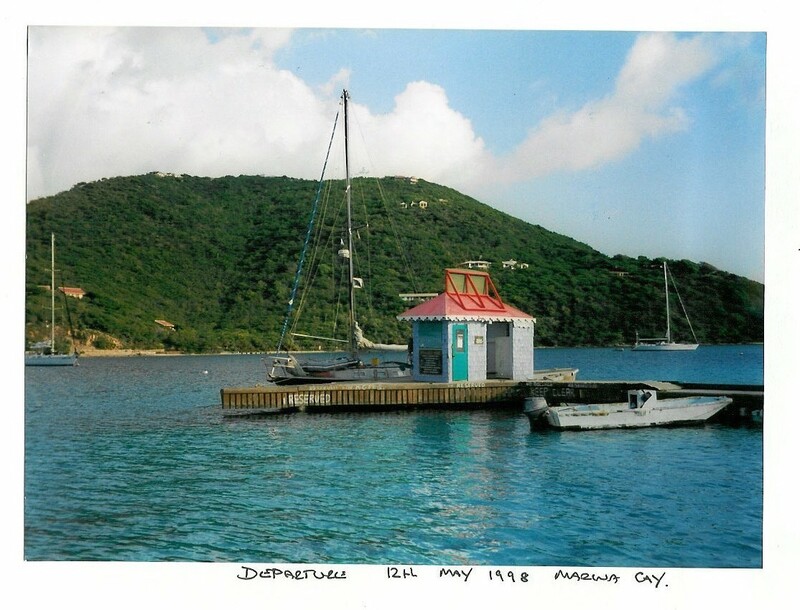 Wow, it was 20 years ago today we departed Marina Key in the British Virgin Islands to sail back home to England. 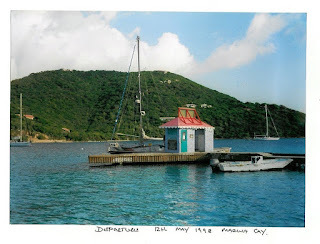 It was morning, the fuel dock was just opening, we had moved Blue Clipper from the anchorage in Trellis Bay at first light and had a leisurely breakfast while waiting for the fuel attendant. 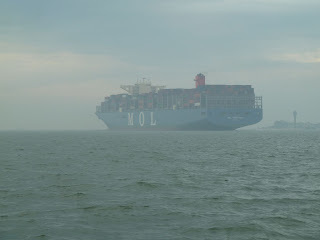 When he turned up he asked where we were heading and when I told him England, surprised he said, "In that". 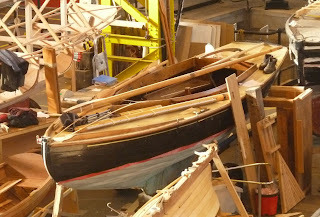 The only tip I gave him was "don't stand up in a canoe." Joseph likes sailing in company so we were thinking about a Wayfarer as a family boat we could all day sail for picnic. Having owned a "woodie" No 176 years ago we knew it was a boat that would be safe for pretty much anywhere we wanted to go around the Solent. But the World's apart Wayfarers are an old design and there's the old saying never go back, so we ended up with one of these a Laser Stratos centre board, pretty much the Wayfarer concept brought up to date. 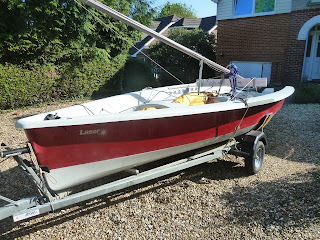 It's lighter and the mast is a couple of feet higher, plus without the fore deck and the rear locker there's a lot more space. 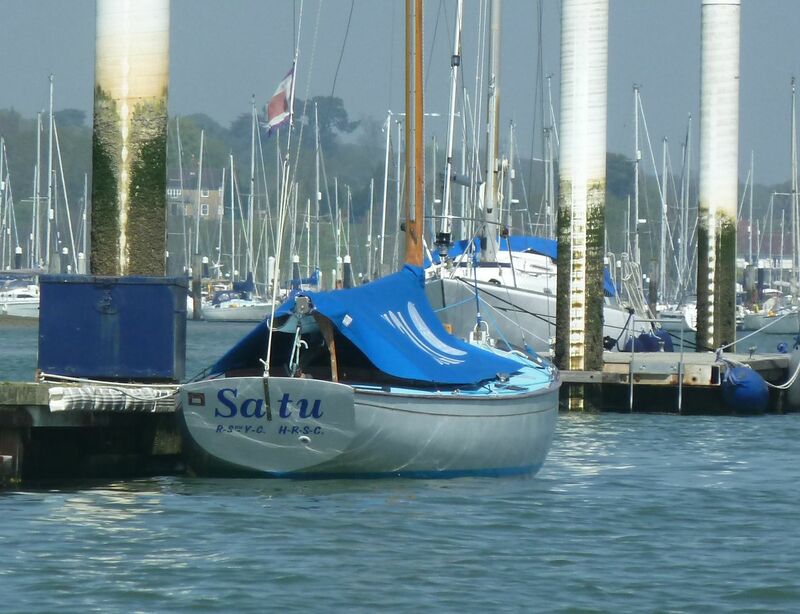 I also like that it's self draining and has flooding side tanks which are supposed to make capsize recovery easier. Overall while it's nearly 20 years since we had the Wayfarer I get the impression the Stratos is a faster boat and better in light airs. 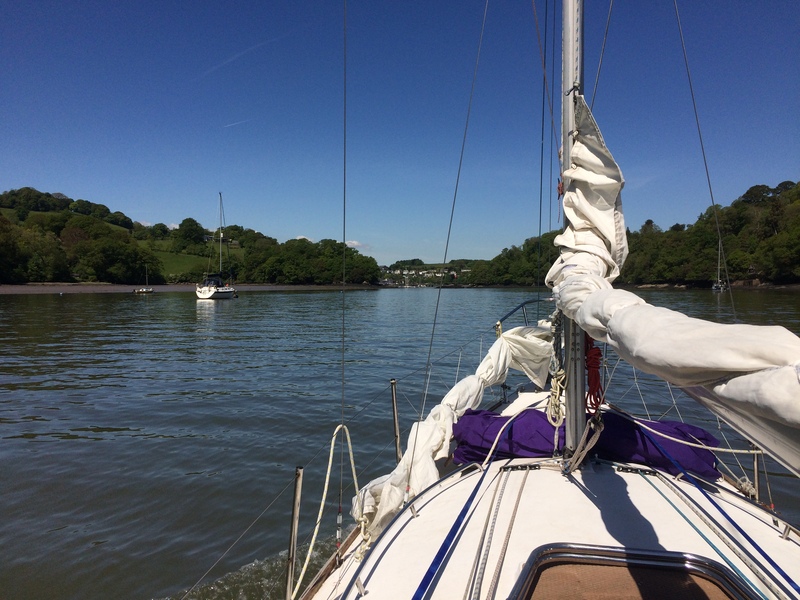 Despite the high pressure and late afternoon HW over the bank holiday weekend we managed to catch the sea breeze for a fine afternoon sail across to Ashlett creek arriving back just as the wind was dropping away. Joseph is mad keen to get the asymmetric out but wants to do his RYA course before we do, ignoring the fact that mum and dad sailed half way across the Atlantic under spinnaker - the perception of youth! He's also keen to try the trapeze. One of the old buildings Boathouse No 4 at Portsmouth Historic Dockyard is being used by the International Boat Building College with a great selection of classic boats under construction or restoration. well worth a visit for anyone interested in traditional boat building or traditional boats generally. 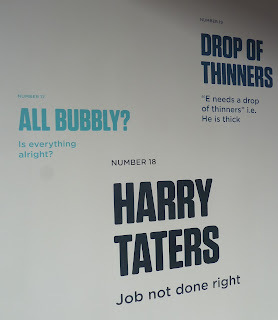 Along the top gallery leading to the restaurant is a collection of dockyard slang from the days when Portsmouth naval docks were in their heyday. 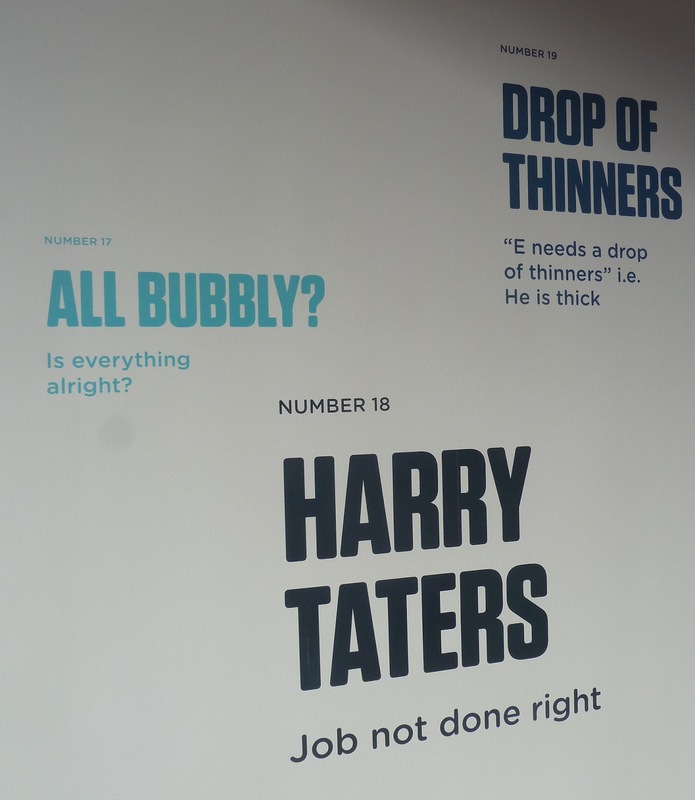 I have a fondness for slang and local terms , but not being a real local a lot of these were new to me, daughter Katy and Erica's dad both ex navy knew them - here are my favourites. Drop of thinners - "he needs a drop if thinners as he's a bit think"
Oggin - the seawater as in "he fell in the Oggin"
I've been fortunate to get out on the water a few times recently, the day started perfectly with an invitation to sail on a friend's J110, as I left home the sun was shining, but by the time we got the sails up it was grey and the visibility was closing in. 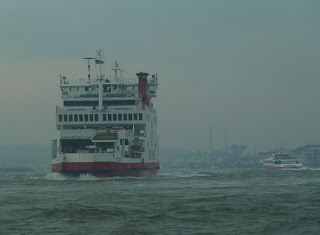 Approaching Cowes things were a little lumpy and busy as always. 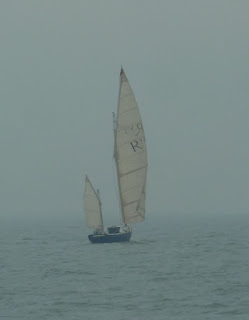 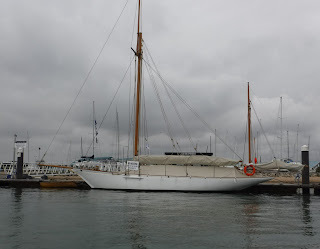 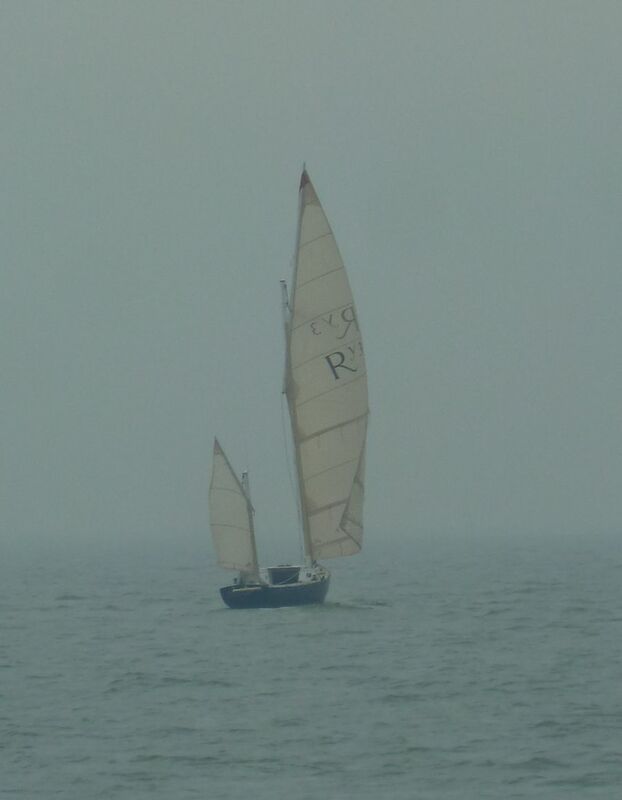 Further out there were a few gaffers aboard including this Nigel Irens designed Romilly yawl (or possibly Roxanne was hard to tell at that distance). 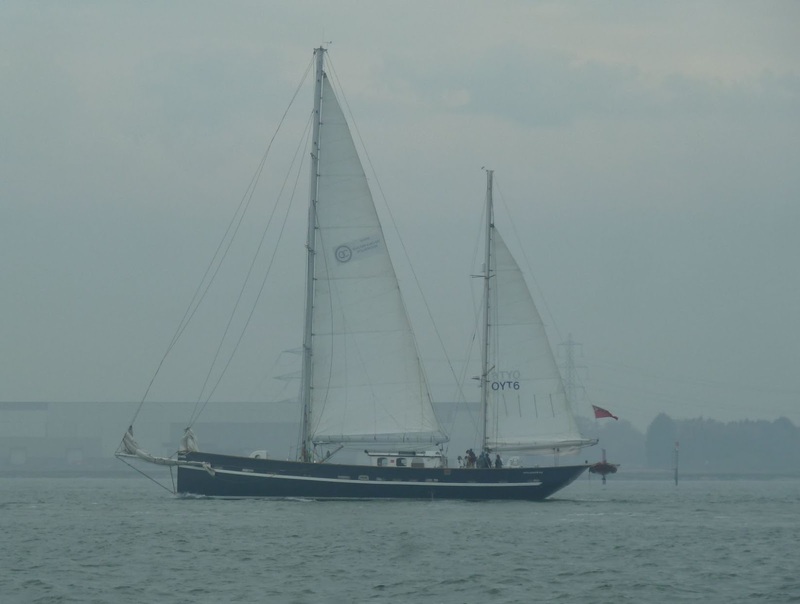 Despite the flat top sail this 18 foot definitely doesn't qualify as an Old Gaffer, looked great but was hard to photograph as it was so fast.